Both IAA and Innotrans continue to grow in exhibitor numbers and their worldwide spread, giving visitors the opportunity to see an ever broader selection of products, services and components. For the bus and coach operator, the main areas of interest were hall 11 for a wide variety of vehicle components at IAA and the public transport section of Innotrans which featured many system suppliers. Other product and service suppliers were scattered across both sites, usually where their prime area of business was in another field or they were part of one of the many areas featuring suppliers from specific countries. Even with spending four days across the two sites, it was only possible to catch up with a selection of what was on offer. The Aunde Group now uses the ISRI branding in most countries for seating products from Isringhausen, Esteban and SKA Wuerth. 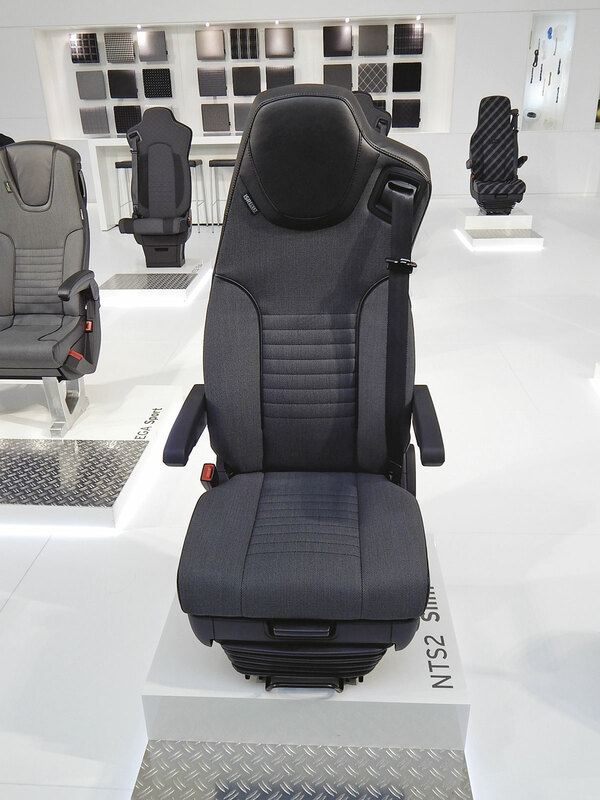 The IAA stand included a prototype of the NV200 city bus seat which is out for customer consultation. It features a higher back with a range of cushion and grab rail options. For coach applications, the Spanish built EGA Sport now has back support and all age seatbelts with options for built in entertainment systems and aircraft style levelling tables. ISRI’s core drivers’ seat range is being developed with a new NTS2 single platform range with many finish options including slim, premium and asymmetrical styles together with CPC card controlled ‘E’ position memory capability. There were a number of innovations launched by Brusa, the Turkish seating specialist. A prototype was shown of the company’s premium Extend VIP coach seat equipped with gas piston rather than mechanical deployment of the leg rest for smoother operation. Options on the Create 120KS range, which is supplied to UK coachbuilders, now include a new seat rear folding table. This has a levelling feature when reclined, a groove for iPad stowage and an anti vandalism feature which allows the table to drop down rather than break if overloaded. In support of EU directive 661/2009/EC requiring a lane departure warning system (LDWS) Grammar have developed a seat integrated ‘haptic warning system’ to provide the required warning silently without alerting passengers. Two vibration motors are integrated in the seat cushions and vibrate perceptibly if the infrared sensors under the vehicle detect the crossing of a lane divider without indication. CVG owned KAB launched the base version of their GSX3000 driver’s seat. Designed to meet the basic specification requirements of 70% of users, the seat offers a considerable cost saving over the Comfort, Premium and Deluxe models through changes including manual adjustment and deletion of in seat heating. The seat has been designed in the UK in co-operation with the US parent company and will be built in Shanghai for world markets. Initially available in fabric trim, a leather version will follow together with a matching courier seat for coach applications. 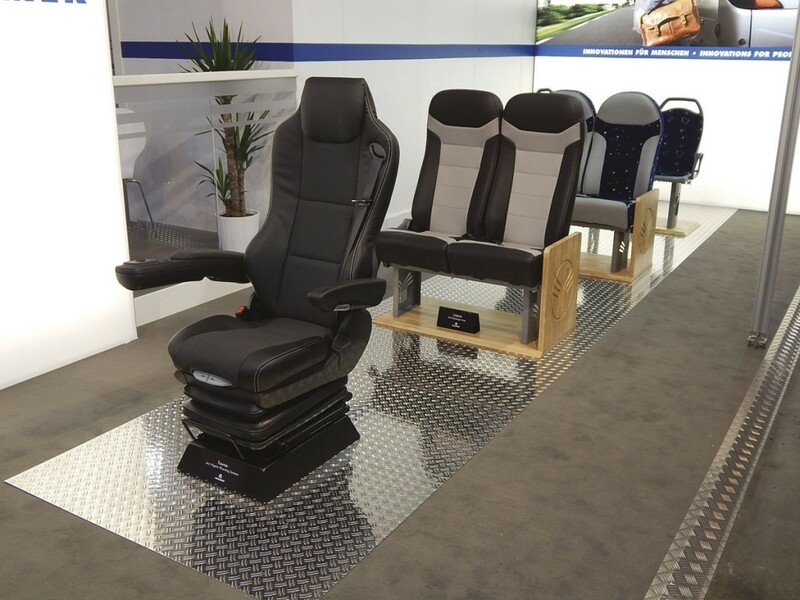 There was a wide range of Kiel seating shown at both IAA and Innotrans, building on the company’s established ranges. 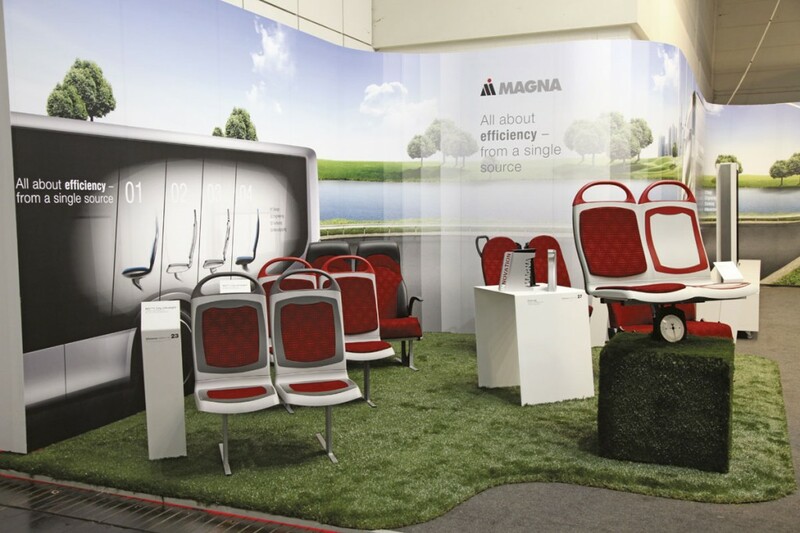 Vogelsitze was acquired by the US Magna Group in 2012 and appeared at IAA under the Magna brand in hall 16. Latest products on display included the MS1 City ultra light, available with a variety of trims and accessories, with the basic double seat weighing in at under 10kg. For intercity operation, the Arondo range was shown with the new CORE-Leg supports for M2 applications. UK seating specialist Rescroft reported growing European interest in its well established seating ranges, particularly for accessible and specialist vehicles. The company advised that it has recently invested in increased production capacity at its Redditch factory. Ster’s stand always appeared very busy as the company expands into new markets. 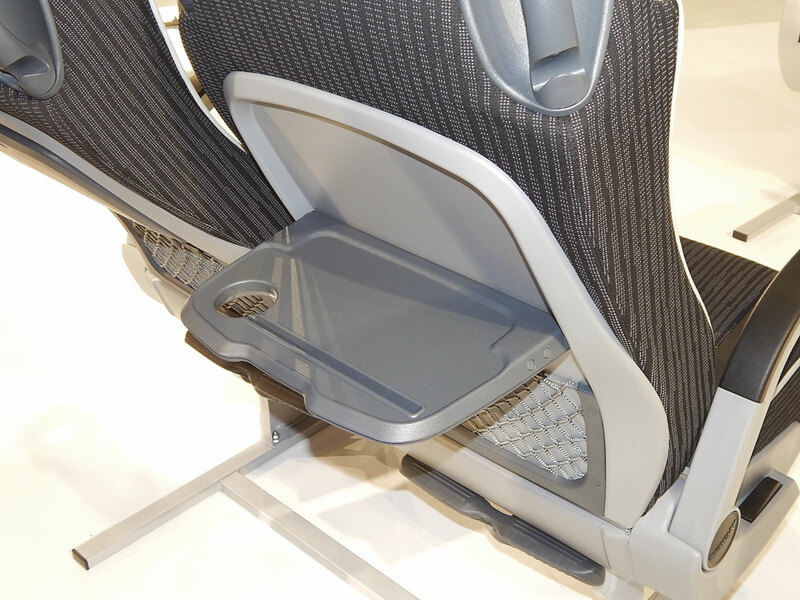 In addition to the company’s extended range of lightweight bus seating, the stand featured drivers’ seats from Polish company USSC. 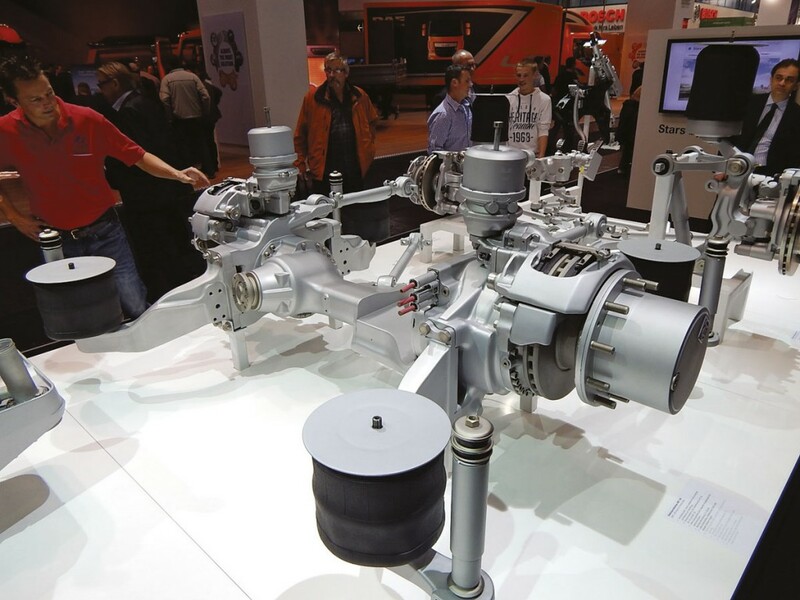 Allison Transmission promoted its recently introduced FuelSense, a fuel-efficiency package designed to deliver up to 20% fuel savings in combination with the company’s Fifth Generation Electronic Control system. Visitors to Allison’s pavilion in the outside display area were offered the opportunity to calculate potential savings in the FuelSense training area. 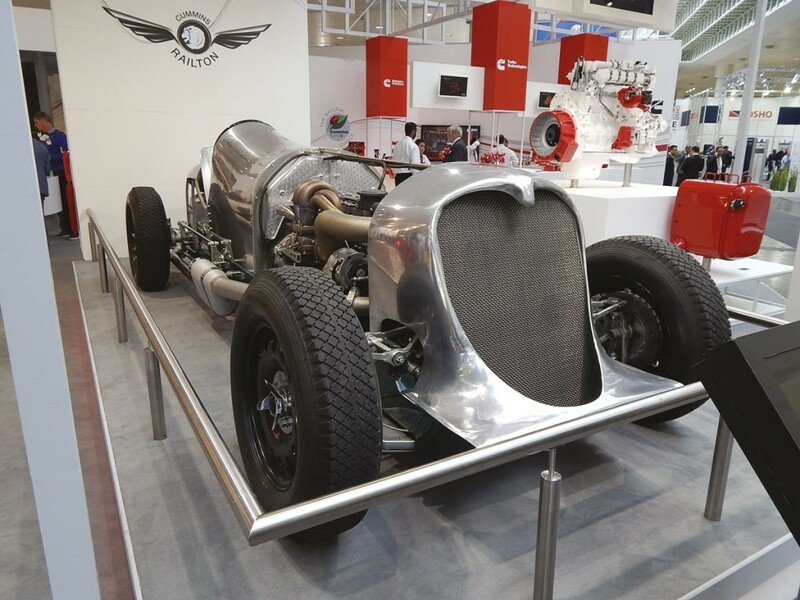 The Cummins Railton car, a replica based on the record breaking Napier Railton Special racing car of 1933, took centre stage on the Cummins stand. It was powered by a modified Darlington built ISBe 6.7litre engine as used by many buses shown at IAA. The modifications increased the engine’s output to nearly 500bhp, almost matching the power of the 12 cylinder 24 litre engine from 1933. Steve Nendick, Cummins Communications Director, advised that it was not destined for full production at that output but it highlighted the capabilities of Cummins’ diesel engines and engineers to push the envelope in challenging projects. 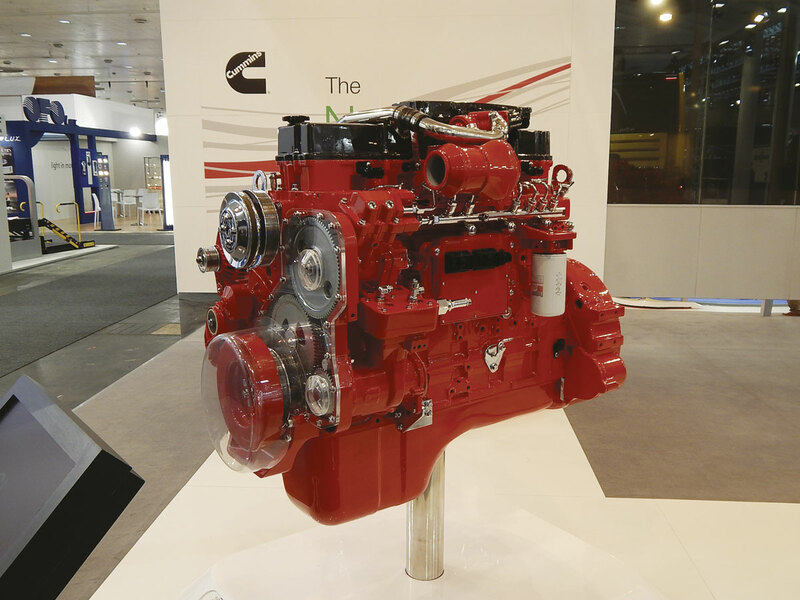 In addition to Euro6 examples of the ISB range, the engines on display included the 8.9 litre ISL9 at Euro6 which will feature in King Long’s C12 for the UK and the new ISG range developed in the USA. Initially available up to Euro5 for export markets, a Euro6 variant of the 11 or 12litre engine is expected. Rebranding itself as PEL, UK based Pailton Engineering, one of the major suppliers of steering systems to UK bus manufacturers, used the IAA to support its drive into the European bus market, particularly in France. The company has already supplied steering components for the double-ended buses that serve the Mont St Michel tidal island. The next generation of SCR systems was shown by Twintec. The B-NOx System includes an ammonia generator to convert AdBlue to ammonia gas using electric power and part of the exhaust gas flow before injection into the exhaust system containing the SCR catalyst. The process significantly increases the NOx conversion at lower temperatures and speeds, particularly benefiting cold start situations. The SCR system can be more compact and, with the reduction of the effects of deposits from decomposition and intermediates, less catalyst is required for a given application. On a school bus application, the company reported test results of 80% NOx reduction during the cold start phase and 92.8% over a full drive cycle. Featured on the Voith stand were the Aquatarder SWR, a secondary retarder using water from the vehicle’s cooling system as the braking medium, and the new DIWA.6 automatic transmission for Euro6 city buses. An additional fuel saving of almost five percent is claimed for the DIWA.6 based on using the SensoTop topography dependant gear shifting programme and the Automated Neutral Shift (ANS) function with maximises the decoupling of engine and transmission. The DIWA.6 transmission featured on the MAN Lion’s City GL CNG awarded the ‘Bus of the Year 2015’ accolade. ZF AV133 range, conventional drive on the left, electric hub drive on the right. ZF showed two recent products for PCV application, the AVE 130 low floor axle for electrically driven buses and the EcoShift manual transmission for intercity applications up to 24tonnes. The EcoShift is the basic six-speed manual transmission which is used as a platform for other transmission variants. This allows vehicle manufacturers to standardise on transmission dimensions, mounting positions and possibly connections supporting optional transmission versions in a vehicle range. The AVE 130 low floor axle represents an optimisation of the earlier model with new gear geometry and quieter running. With two 120kW electric motors, the axle is suitable for serial hybrid, battery, fuel cell or trolleybus applications and is already being used in projects by EvoBus, Foton and Bozankaya. It is compatible with ZF’s existing AV 132 range and, although heavier in itself with the two water cooled asynchronous motors, it supports a 200-500kg saving compared with conventional electric motor drive systems. ZF is also developing the next generation of low floor axle, the AV 133, with the focus on reducing the weight of components using modern materials, for example aluminium alloy instead of steel spring carriers could reduce the weight by 45kg. The new generation will be connection point compatible with the existing range. 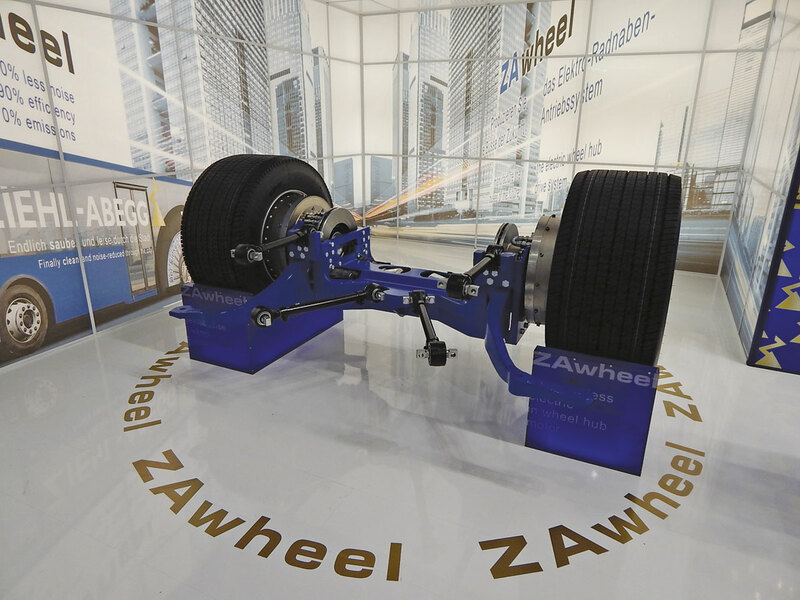 Mounted in the company’s complete drive axle assembly, the Ziehl-Abegg stand featured the second generation of the ZAwheel with torque increased from 2,100Nm to 2,700Nm and rated power increased from 99kW to 113kW per wheel. A monitoring system allows a virtual view into the motor of every wheel online accurately to the second. Charging cycles can be optimised and possible critical operating points detected early in this way. The ZAwheel was deployed in the VDL Citea E demonstrated in the electro mobility arena and will feature in vehicles to be built by VDL for Helsinki, Byberg and Munster. Hybricon vehicles for Umea in Sweden and the forthcoming ebus Europe demonstrators in Germany also feature the ZAwheel. Part 2 will be in a following post.